Our aviation experience includes a variety of airside and landside projects with airports of all sizes throughout the region. We have provided our services at Ft. Riley's, Marshall Airfield, St. Louis Lambert International Airport, Kansas City's Downtown Wheeler Airport and Kansas City International Airport, City of Manhattan, and City of Nevada. We have completed designs for runway lighting, maintenance facilities, terminal expansions, security-CCTV, data centers, administrative offices, and more. Electrical design services include power, lighting (interior and exterior), lightning protection, fire alarm, CCTV/access control systems, communications and data/IT design. 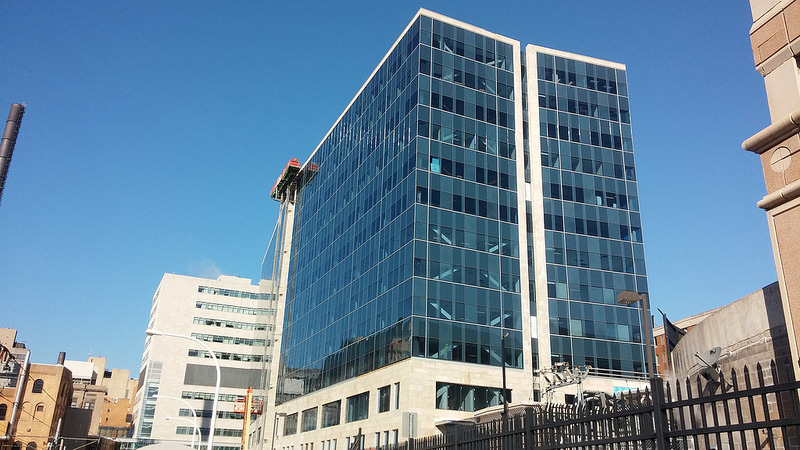 Mechanical design provided the administration space with a variable refrigerant flow (VRF) system for energy savings to help meet LEED Gold standards. The remainder of the shop will be ventilated with wall propeller fans and heated with high-efficiency gas fire unit heaters. Low flow plumbing fixtures will be used throughout. Electrical design and construction administration services for demolition of the 4160V electrical feed to existing chiller. Also provided electrical design for a new 4160V switchboard and transformer to power to new 1300 ton, 480V, 3-Phase chiller. 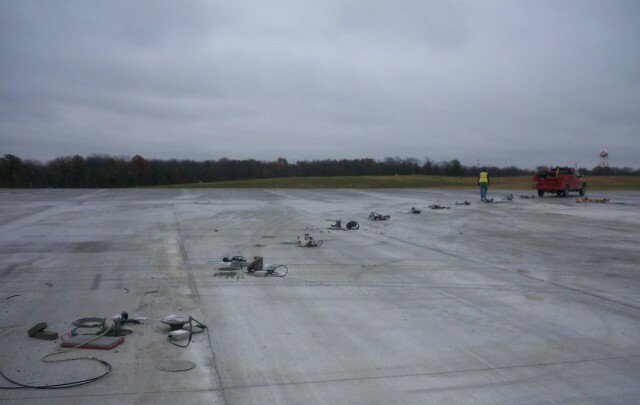 Electrical design and on-site construction support for the Runway 1R-19L. Services included electrical design, plan and specification preparation, cost estimates, and design report narrative writing. We also provided a full-time on-site field representative for the duration of the project. The field representative was required to be on site for up to 12 hours a day. MEP engineering services for a reconstruction project in Terminal C. Includes relocating the security lanes, adding two sets of restrooms (to replace the existing single restroom group), relocating two interior secure doors, and prepping for future concession areas. 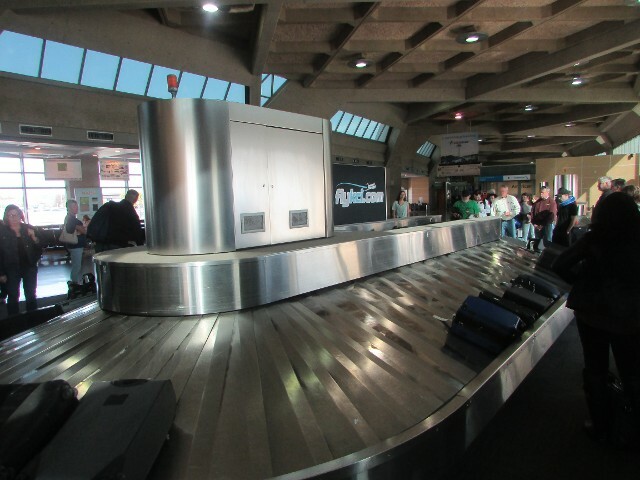 Also requires removal of two existing baggage claims and installation of one larger baggage claim. 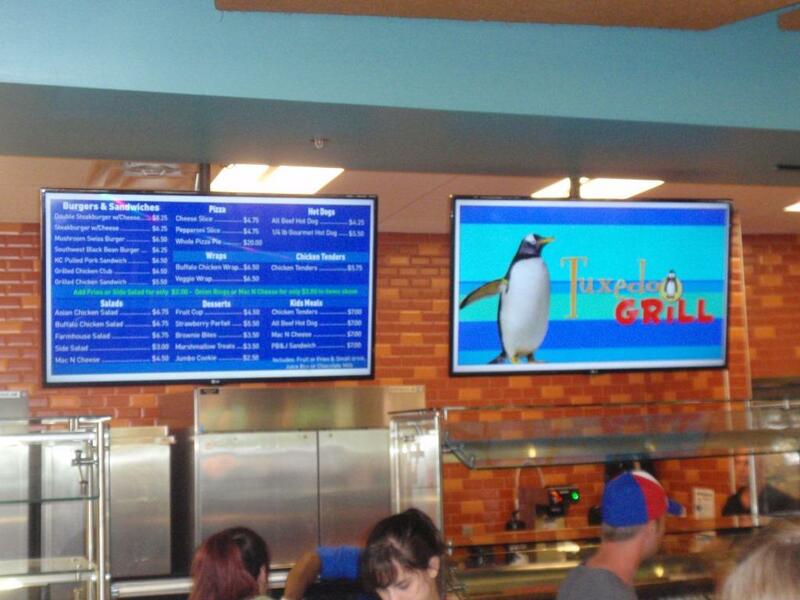 Custom Engineering has provided MEP design services for several entertainment and recreational facilities. 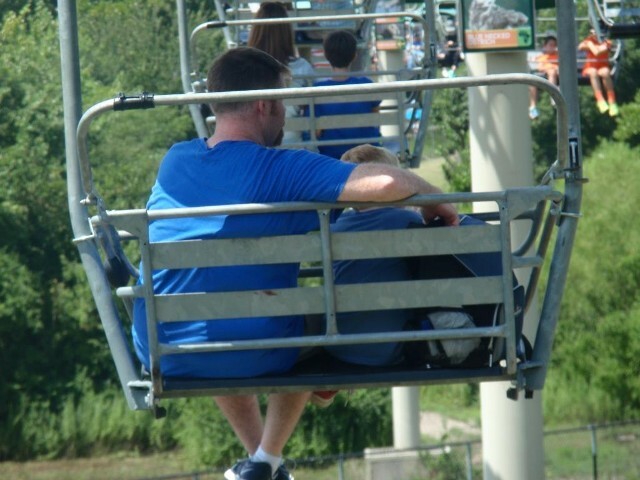 Some of our clients include Kansas City Parks and Recreation and St. Louis Board of Public Service. New 7-field soccer complex in Kansas City, MO. 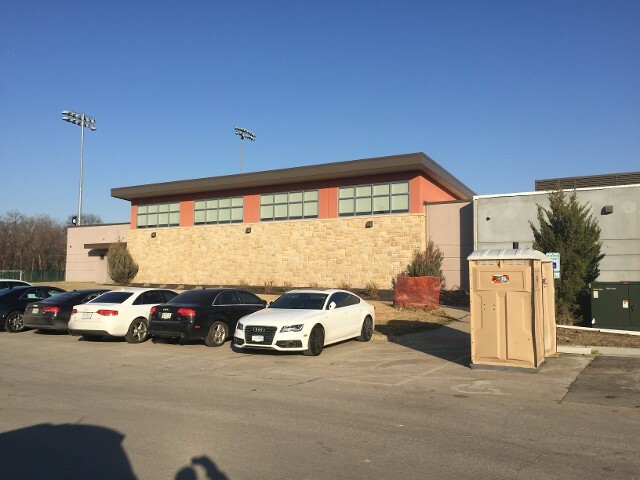 For Phase I, design was provided for field and parking lot lighting, public address system, a new restroom/ concession stand building and update of existing restrooms. For Phase 3, design was provided for the professional training facility. Replacement of the existing Carousel Café with a new food service facility that includes public restrooms as part of the new facility. Designed to serve approximately 350 people with indoor seating for 100 people and outdoor seating for 250 people. Designed to LEED Silver Standards. The areas with the most focus for renovation were with swimming pool, gymnasium, and reception area. Electrical renovations included improving the general lighting throughout the community center. 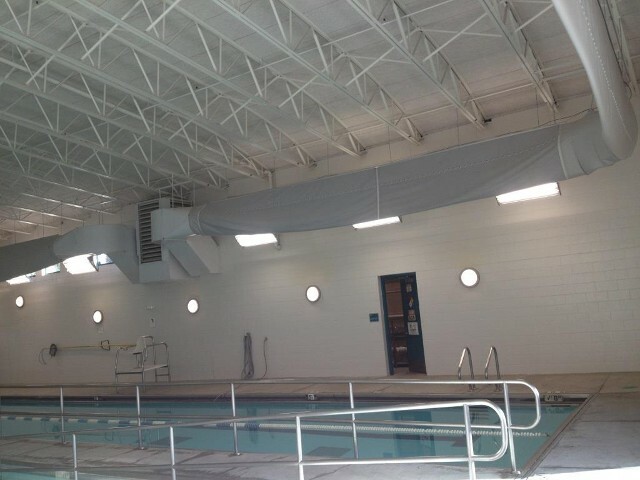 Mechanical renovations included the replacement of the vent pipe in the natatorium as well as the adjustment of dampers and vents to produce better temperature consistency throughout the facility. Elevated tram that extends for 1,500 feet over the African portion of the zoo. There are two tram turnaround buildings where riders board and also disembark the tram. we provided electrical design for the entrance, building/tram/ticket booth lighting and power and also lightning protection. Custom Engineering is proud of the services we have provided for several federal and local government buildings in the Missouri and Kansas. We have provided services for General Services Administration, the Department of Veteran Affairs, and the US Army Corps of Engineers, City of Kansas City, and City of St. Louis. Some of the locations we have worked include police and fire stations, the Federal Reserve Bank, the Richard Bolling Federal Building in Kansas City, the Robert A. Young Federal Building in St. Louis, VA hospitals across the region, Ft. Riley, Ft. Leavenworth, Ft. Leonard Wood, and more. Responsible for the mechanical and electrical design for the Police Evidence Depository Building, street, and parking lot lighting, as well as the emergency generator design in the central plant. The facility was designed for LEED® Gold and implemented many energy savings systems such as geothermal, chilled beams, energy recovery units, and LED lighting. Renovation of Lower Level Equipment and Main Control Rooms of the St. Louis Justice Center. 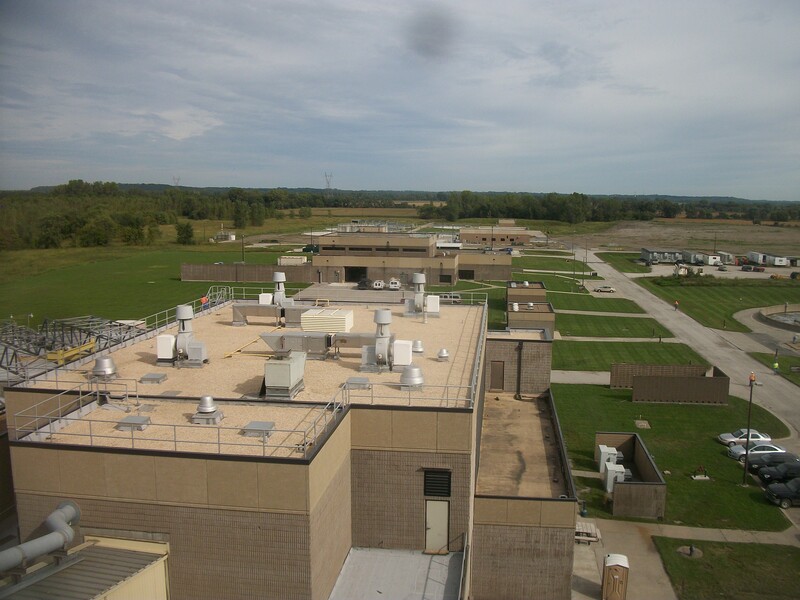 Custom Engineering also provided an HVAC and Electrical review and associated design of the Lower Level Equipment Room and Main Control Room to accommodate the additional equipment loads provided by the security equipment included in the project. The floor was renovated and updated with a new architectural floor plan that required rezoning of the HVAC system with existing terminal units and provision of new duct layout. 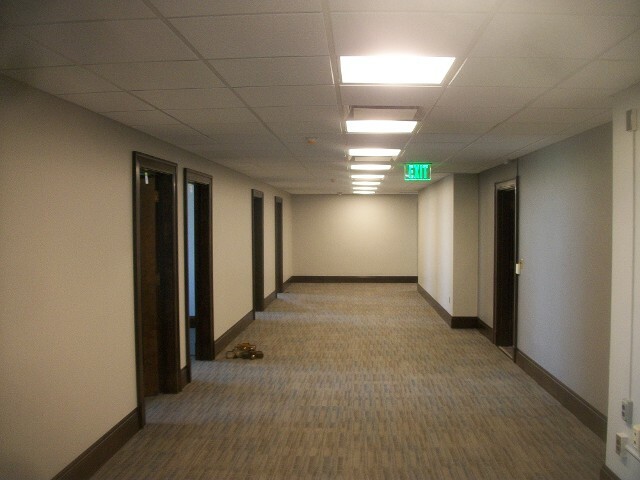 All existing fluorescent lights were replaced with new LED lights and receptacles were also replaced. Power for all HVAC equipment was provided as well. The design reused the existing electrical panels and added a new one for new load. We also provided new fire alarm devices and connected the new fire alarm devices to existing fire alarm systems for the building. The Training Barracks Upgrade Program FY-12 (TBUP12) was a "gut and renovation" of two existing three-story barracks. As part of a commissioning team, Custom Engineering observed functional testing and related tasks. The commissioning commenced with an initial site visit that involved a walk-through of the site to create a preliminary punch list. This punch list was the framework for several steps of system verification with multiple contractors. Custom Engineering understands that the design of a healthcare facility is all about the end user – patients, nurses, doctors, and staff. We will work with the facility staff every step of the way during the design process and hold/attend regular user group meetings to ensure that our designs meet the needs of the staff and align with local, county, and State health department codes. Our healthcare experience includes a variety of projects with facilities of all sizes throughout the region. We have provided our services at Barnes-Jewish Hospitals in St. Louis, MO; Western Missouri Medical Center in Warrensburg, MO; Ft. Leonard Wood Dental Clinic; and VA Hospitals throughout the Midwest. We have completed designs for tenant finishes, intensive care units, an angioplasty center, nurse call, X-ray rooms, medical gas vacuum, general lighting, HVAC, administrative office renovation, and more. Replacement of a hospital and medical office building. New hospital will be six stories with 102 beds in the first phase. Facility will accommodate the emergency department, ICU, imaging, administration, food service, labs, pharmacy, peri-operative, surgical programs, and more. 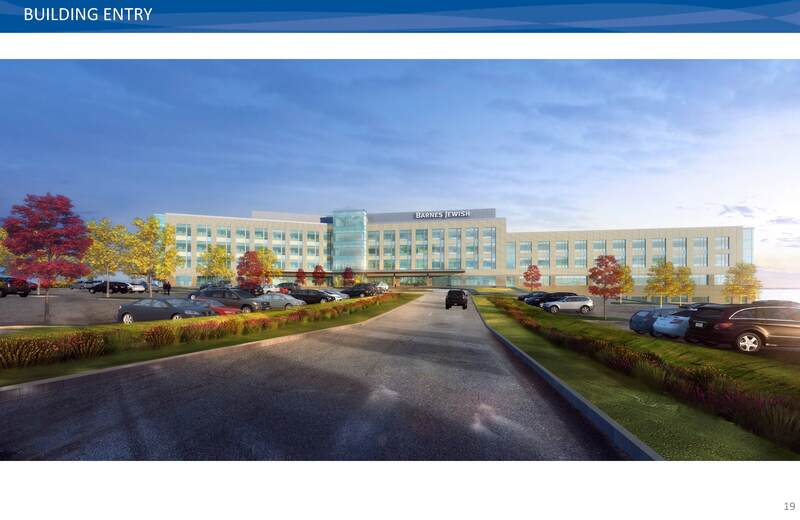 The medical office building will be 3-stories with under-building parking and a connector link to the hospital at two levels. Expansion of a senior living facility. 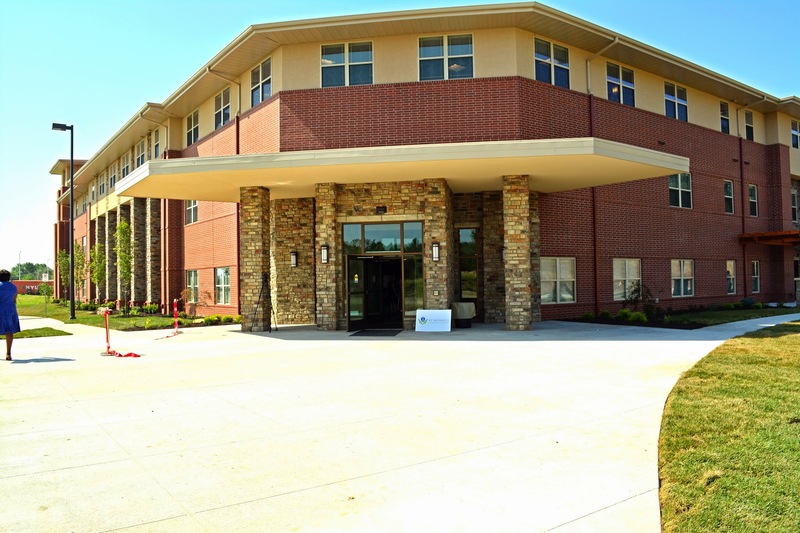 This is a two-story 87,000-square-foot, 96-bed facility that will provide short-term rehabilitation services, long-term skilled nursing care, and memory care. Electrical design included the lighting and power design as well as the nurse call system and fire alarm system for the entire facility. Mechanical design included HVAC and plumbing design for studio resident units, common areas and four kitchen areas. Remodel of office space for new lighting and panelboard design was provided to meet the new electrical requirements of the building. 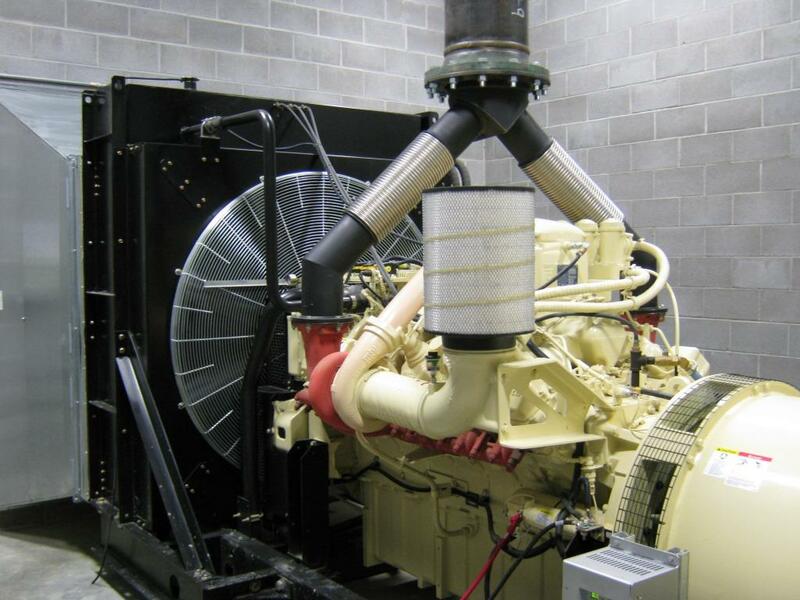 Provided design for a backup power system and 1 MW generator. Upgrades were made to the HVAC system and plumbing fixtures. 517,000-square-foot building includes a full basement with below-grade parking, programming space, and campus utility infrastructure. Custom Engineering also provided assistance in the LEED certification process for the MCC; the project is pursuing LEED-NC v2009 Silver Certification. Custom Engineering has provided MEP design services for universities and community colleges in Illinois, Kansas, and Missouri. We have worked with the University of Central Missouri on five separate projects in the past ten years. 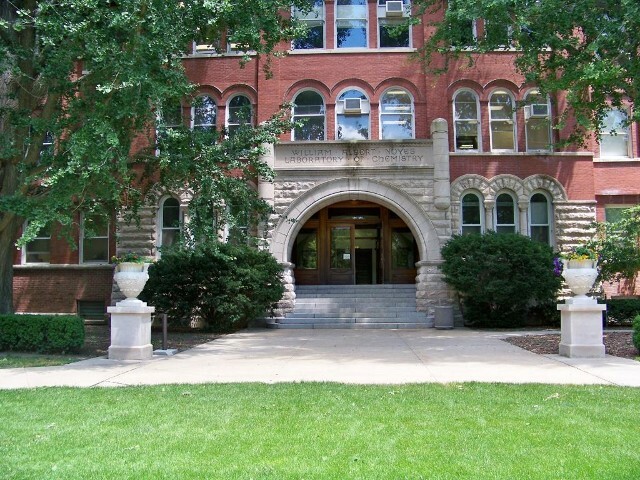 We have also worked with the University of Missouri College System, Lincoln University, University of Illinois – Urbana-Champaign, St. Louis Community College, and others. 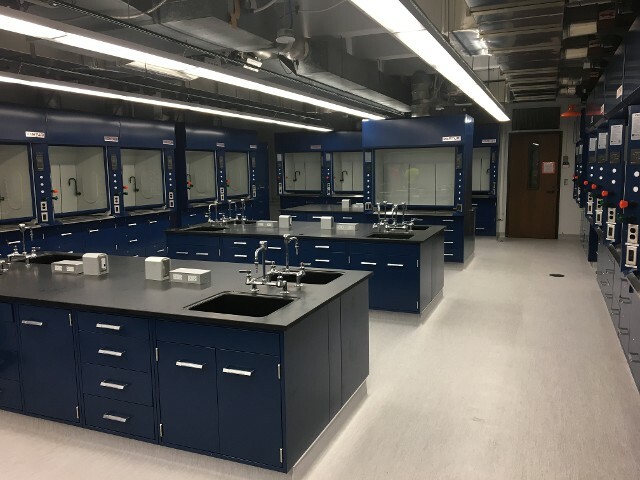 Renovations for laboratories at three of the St. Louis Community College campuses: Florissant Valley, Forest Park, and Meramec. 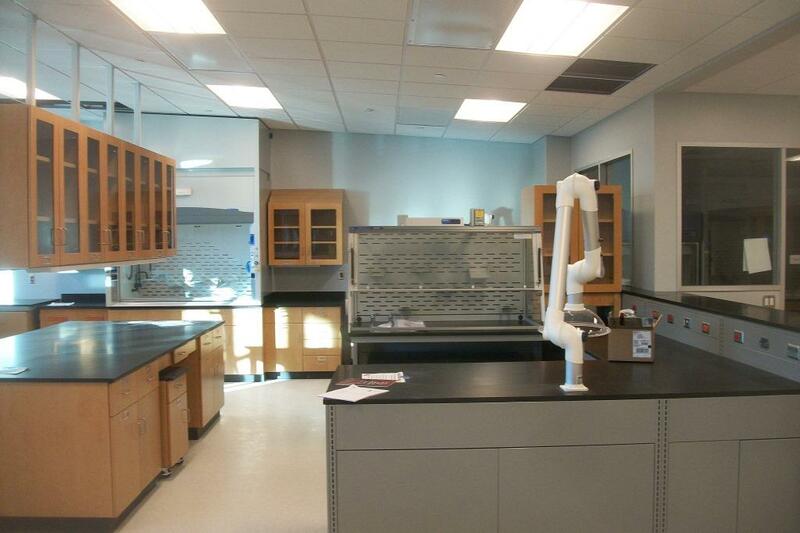 The colleges wanted a complete rehab on approximately 20 science rooms across the three campuses. New 2,000 sq. ft community center for the university-owned off-campus Greenwood Apartments. 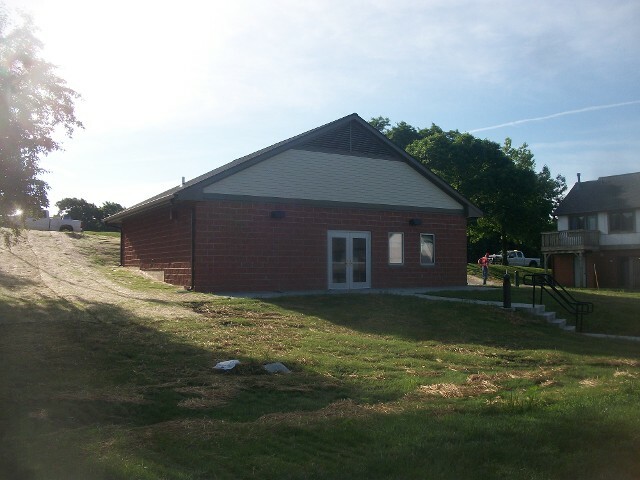 The building contains a community/storm shelter room (sized for approximately 100 residents), office, laundry, restrooms, storage, and mechanical room. Renovation of the Noyes Laboratory west classrooms. The project added 31,000 square feet of space on the west side of the facility and renovated 19,500 square feet of instructional space. 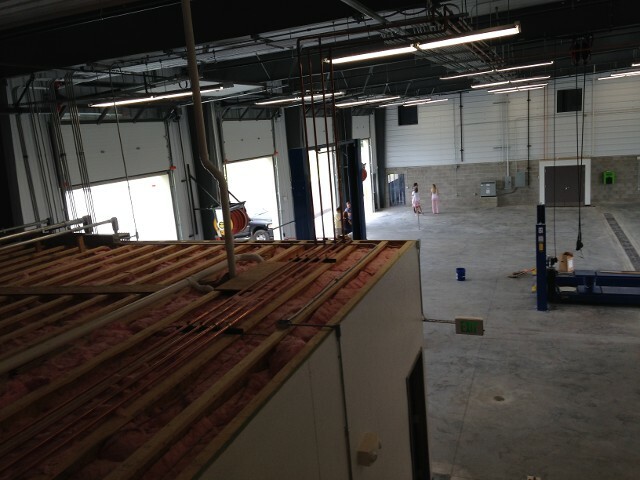 Life safety and HVAC improvements were made to the entire impacted project area. 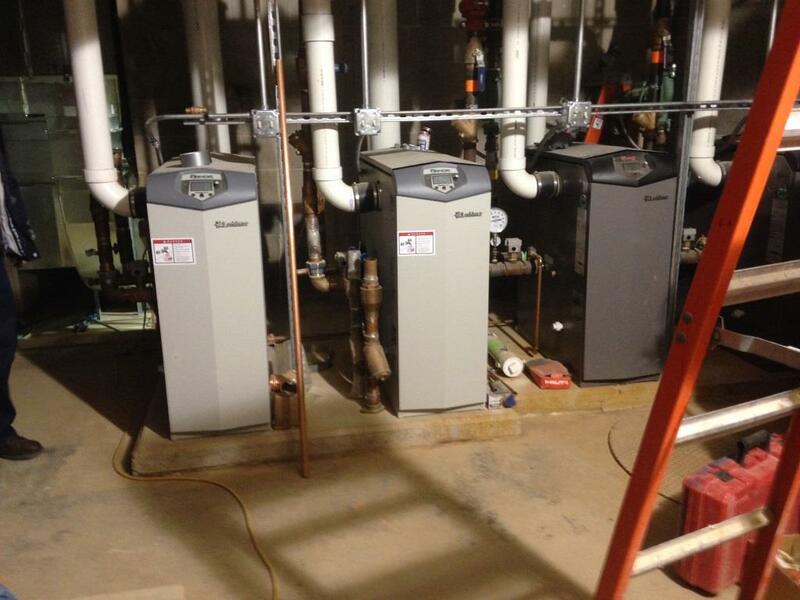 The campus chilled water and steam systems were extended to the new and existing units. Major components of the facility renovation project included replacement of the showers and space heaters in residence restrooms; replacement of residence restroom light fixtures to LED technology; replacement of toilets, flush valves, and lavatory faucets; upgrading fire alarm system to implement addressable devices in dorm rooms; upgrading fan coil unit controls for networking through the building automation system; and replacement of common area lighting fixtures to LED technology. 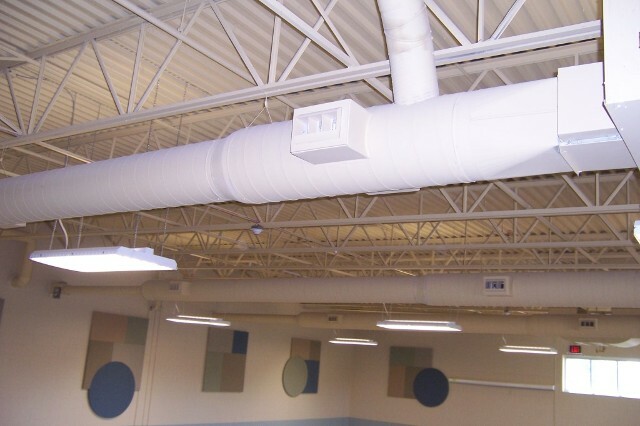 Custom Engineering has provided MEP services for numerous school buildings in districts throughout the Midwest region. Some of the districts we have partnered with include Hickman Mills C-1, Kansas City Public Schools, Blue Valley USD 229, and Denver Public Schools. 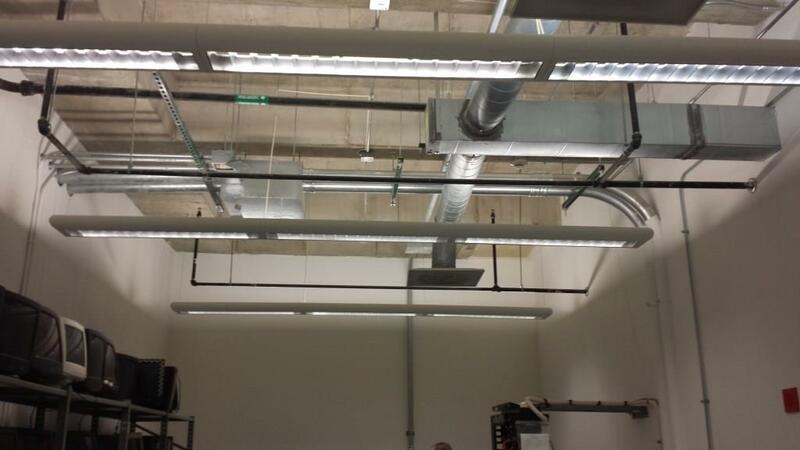 Custom Engineering was the lead consultant, project manager, and electrical engineer for this HVAC upgrade project. As part of this project, chillers and boilers were replaced and electrical systems were upgraded to provide the required power. 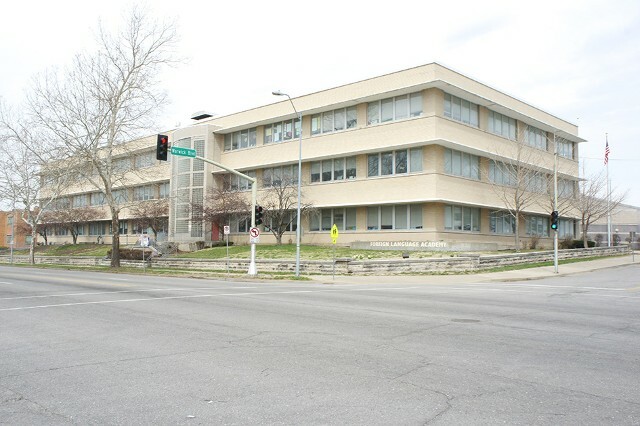 Custom Engineering completed 12 projects over a 4-year period for the Hickman Mills School District. Projects included district assessments, high school boiler replacement, MEP design for the new Early Childhood Center, media center renovations and additions at multiple schools, and more. Provided house lighting made up of higher-lumen, longer-life, energy-efficient LED fixtures. Aisles and stair nosings are lit with dimmable LED lighting to improve safety. 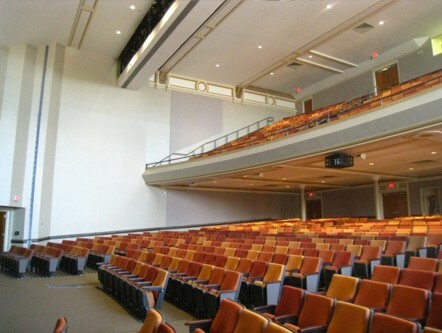 The stage lighting contains T8 fixtures to provide sufficient lighting for band, orchestra, and choir classes. Also provided power for the new stage. Provided mechanical design for boiler replacements in existing schools. The design included new controls, tubes, piping and burners. 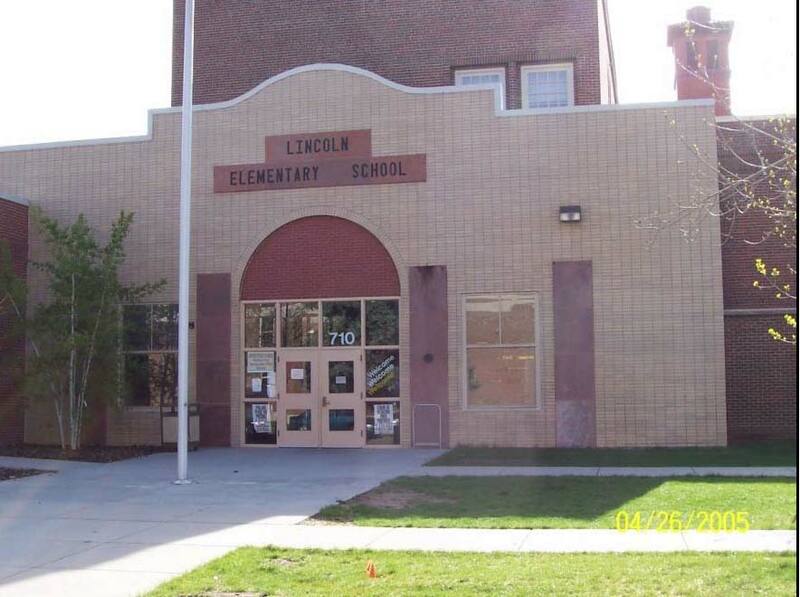 Construction documents were completed within eight weeks and out to bid in order to secure a contractor before the end of the school year. 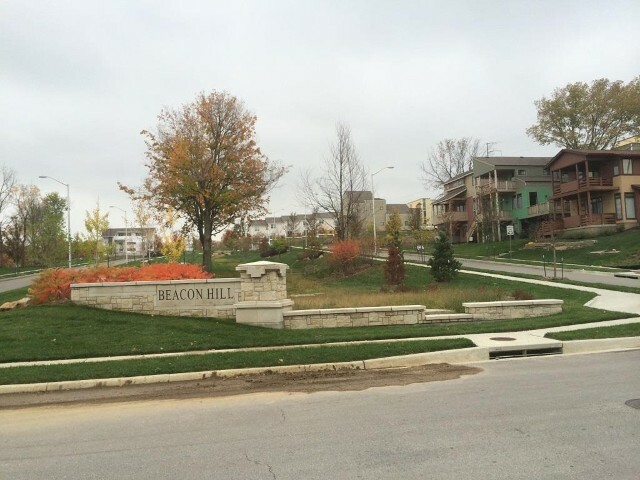 Custom Engineering, Inc. has been providing MEP design services for several housing authorities including Kansas City, Missouri, and Kansas City, Kansas Housing Authority. Custom Engineering has over 30 years of experience and knowledge in codes such as IBC, NEC, and IMC as well as the HUD Design Manual. New 3-story condominium building. The building will have three unit types with a total of 58 units. The units have DX cooling and electric heating. All units are completely sprinkled for fire protection. There is also a commons area on each floor as well as a lobby on a separated VAC zone. 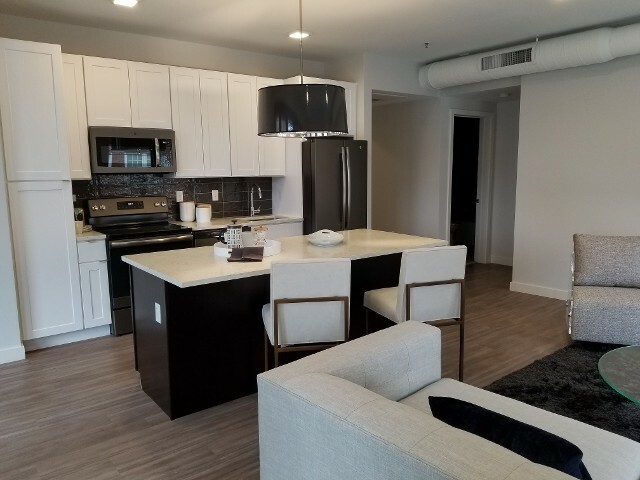 The lighting for the apartment units and common areas in the condo building are all LED lighting. Six-story mixed-use development with two subterranean parking levels. The ground floor features 11,000 square feet of retail space. The second floor contains 10,000 square feet of office space and 3,000 square feet of amenity space that may be utilized by both the office and residential users. The third through sixth floors are residential and each floor contains 13-15 apartments for a total of 72 units. 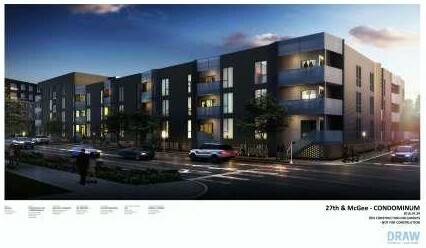 14 three-story townhouses with 8-12 residences per building with lower level private garages totaling 300,000 sq. ft. Five three-story garden-style apartments with 24 residences per building. 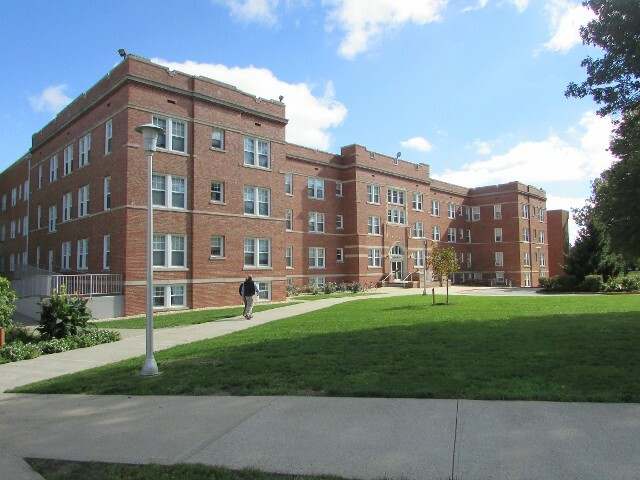 All residence buildings are equipped with at least one handicapped accessible unit. The complex has one clubhouse/ community center, one outdoor pool, seven detached garage buildings with six garages per building, and one maintenance garage. 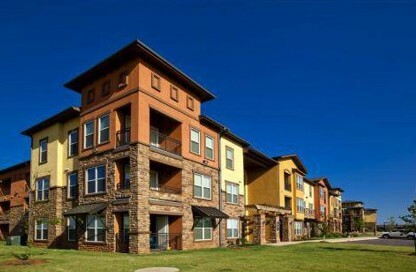 A 58-unit apartment building with 62 parking spaces in Kansas City, Missouri. The apartment building is three-story, with an elevator and internal enclosed corridors and common areas. The facility is designed especially for those veterans who are homeless, or at risk of becoming homeless, with various special needs. Our street lighting experience includes a variety of projects municipalities of all sizes throughout the region. 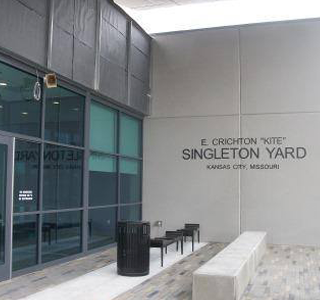 We have provided our services for the cities of Kansas City, MO; Gladstone; Lenexa, KS; Mission, KS; and Overland Park; KS as well as the University of Kansas. We have completed designs for roadways, streetscapes, parking lots. 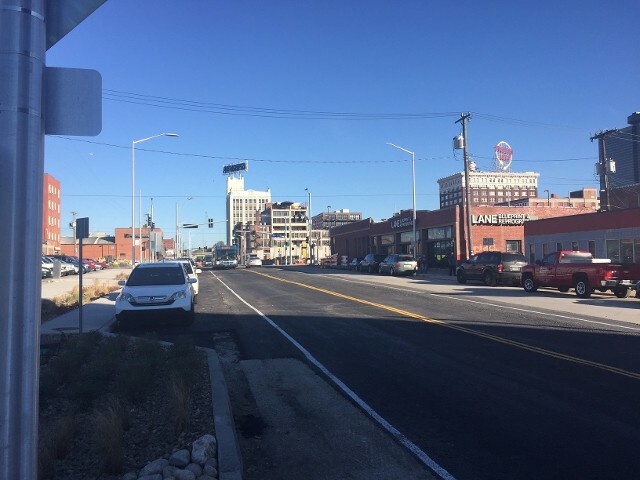 Street lighting, landscape fixtures, art features, and wayfinding signage for the 20th Street Streetscape project in the Kansas City Crossroads Arts District. The LED lighting provides better lit passageways for motorists, cyclists, and pedestrians alike and were much-needed upgrades to aged infrastructure along the corridor. Electrical design for the roadway and pedestrian lighting for the rebuilding of Troost Avenue between 24th St. and 30th St. The complete project included new curb extensions with bioretention gardens and a green center median for traffic calming, new street trees, energy-efficient roadway and pedestrian lights. Lighting of Beacon Hill Northwest and Southwest Quadrants. Lighting of one monument, street lighting, lighting control systems, design and power requirements for street lighting, and specifications for basic electrical materials. Reconstruction of Jayhawk Boulevard at the Kansas University Campus Scope of work was to design the street lighting from the Chi Omega to Polar Lane also we did the lighting design and power design for the tunnel under that phase. 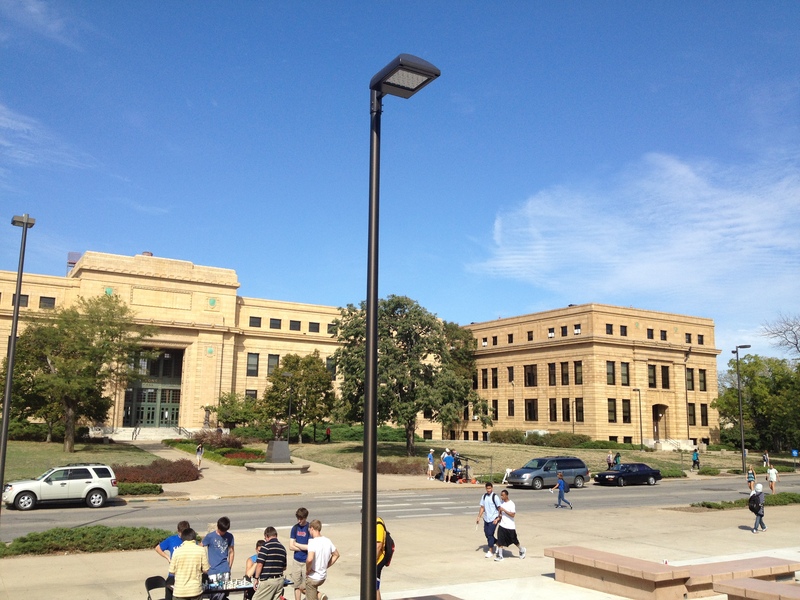 The lighting design used LED fixtures in coordination with master plan and Kansas University Standards. A roundabout design was included in the roadway. Custom Engineering has provided mechanical/electrical design for a variety of projects and clients such as transit authorities, cities, municipalities, state, and federal agencies. Custom Engineering provided design services for both the mainline and the vehicle maintenance facility. Mainline included lighting revisions needed to accommodate the many new power poles for streetcar propulsion and for the power distribution to streetcar station stops. We also provided the mechanical, plumbing, fire protection and electrical design for the Vehicle Maintenance Building, which was awarded LEED Gold. Joint venture between the Kansas City Area Transit Authority and Wyandotte County Unified Government. 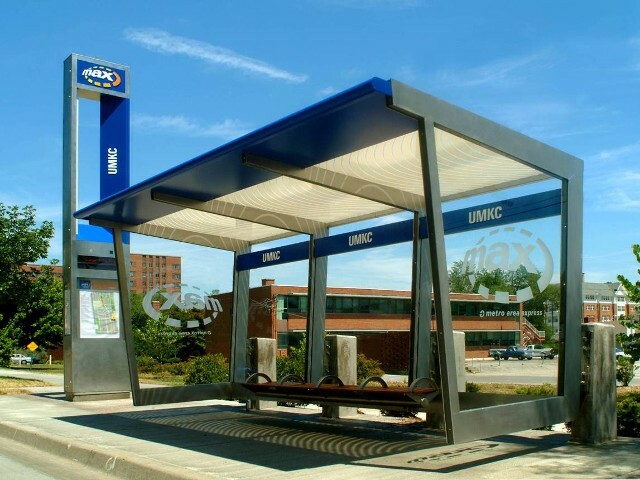 This project provided multiple new bus stops along the State Avenue corridor in Kansas City, KS. The new bus stops include lighting and at some locations real time data for bus rider information. Custom Engineering providing design for the lighting and coordinated with power distribution with the Board of Public Utilities. 10,000 sq. ft. maintenance garage with seven repair bays, two vehicle lifts, and one wash bay plus a 7,500 sq. ft. administration wing with offices, conference room, and dispatch. The scope of work included emergency back-up power, under-floor heating in the repair bays, multiple split systems, and plumbing and indoor/outdoor electrical design. Custom Engineering provided electrical design for new shelters with lighting using LEDs and Real Time Signs LED displayed for the new parking areas and bus operations facility. Custom Engineering is currently involved with or has played a role in a variety of projects that are water or wastewater-related. 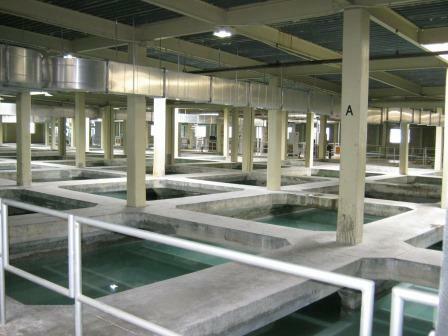 We have provided numerous services for the Kansas City, Missouri Water Services Department. 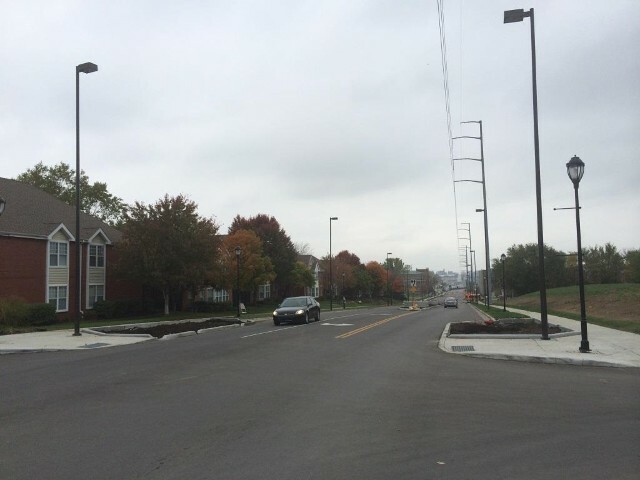 We have also completed projects for the Little Blue Valley Sewer District (LBVSD) in Independence, MO and the Metropolitan St. Louis Sewer District. Served as prime for the installation of two mid-range pumping units, including all necessary adaptive piping, electrical equipment, SCADA controls (not including programming), and HVAC equipment. We provided the electrical and mechanical design while also coordinating the engineering efforts for hydraulic modeling, SCADA systems, surveying, structural engineering, and resident engineer. Design for the control building at the extraneous flow holding basin. Plans included motor operated gates, chemical feed system for odor control, level sensors, flow sensors, pumps for washing down basin, and a generator back up. 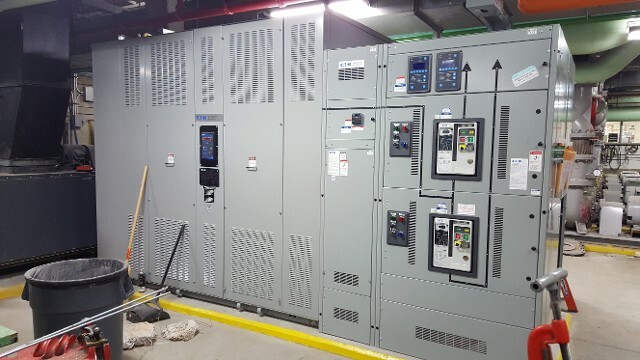 Custom Engineering designed a building to house the chemical feed pumps, electrical room, control room and wash down pumps and coordinated with the electric utility company for a new electrical service. Preliminary design services and an engineering report outlining recommendations to control the moisture in the filter pipe galleries A, B and C at the Secondary Pump Station within the Water Treatment Plant. Additional services include final design, bid phase services, and project closeout services for the recommended dehumidification systems. 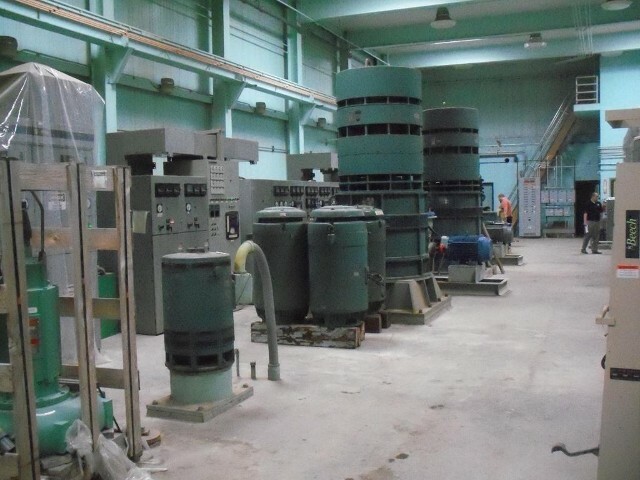 Electrical design services for the 87th Street Pump Station Rehabilitation Project included identification and evaluation of electrical switchgear and distribution boards, pump station equipment, motors, elevator, power and lighting systems to bring the facility up to Code. 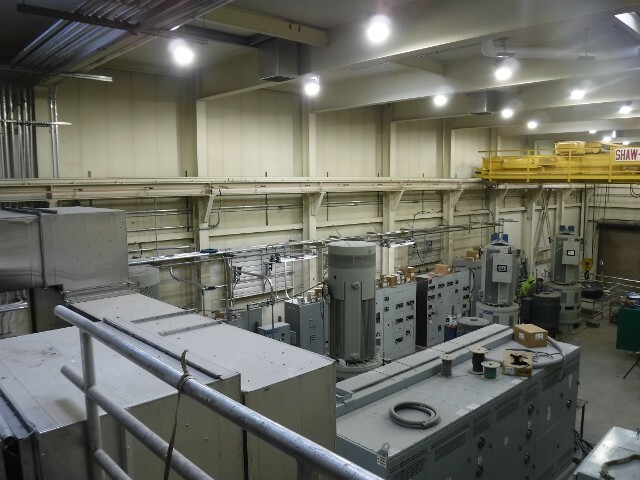 Design also included a new service entrance connection to the utility, new switchgear, motors, pump station equipment and controls, motor control centers and distribution panelboards as well as replacement of interior and exterior lighting systems throughout the facility.